“I went out and bought her a stuffed hedgehog, and when I gave it to her, she looked at me as if it was the greatest kindness ever bestowed on her. From that moment on, she made eye contact." For the first year of her life, pain was the only thing Miley knew. 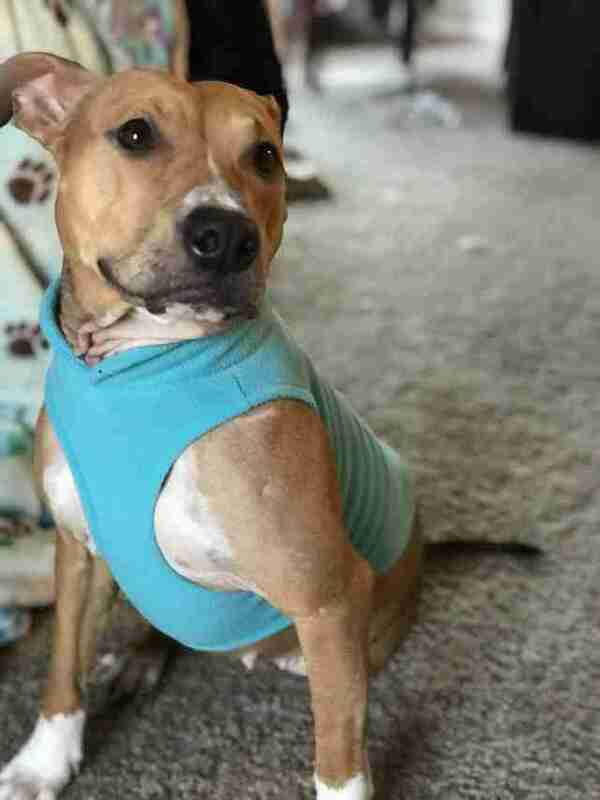 Born and raised in a dogfighting operation near Austin, Texas, Miley was used as a bait dog to train other dogs how to fight. Her mouth was continuously taped shut and barbed wire was wrapped tightly around her neck as she suffered through the constant attacks. And then, in July 2017, she was thrown out on the street with her back leg barely hanging on. Although she was only 1 year old, she had seen more than any dog should. 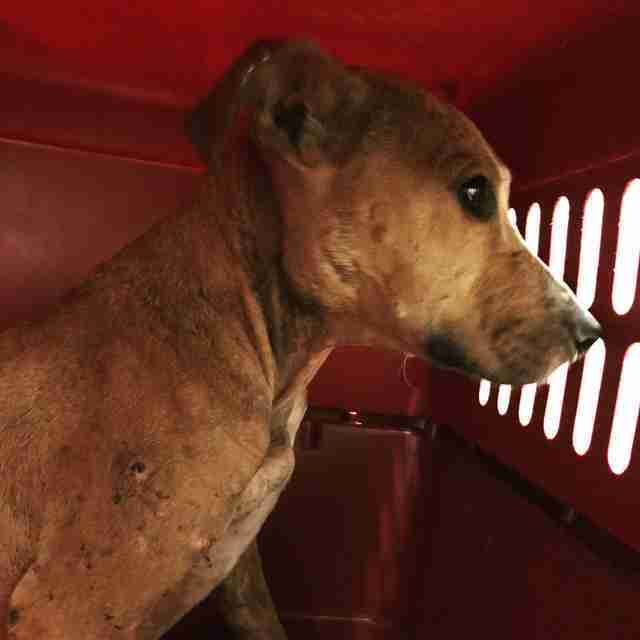 These were the heartwrenching details that vets pieced together the first time they examined each mark on her weak body. 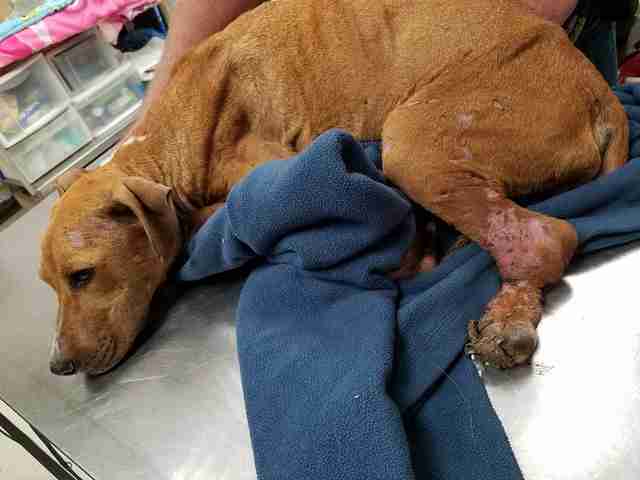 No one in the room had been there to see what happened, but the scars played back each detail of the young dog’s neglect. 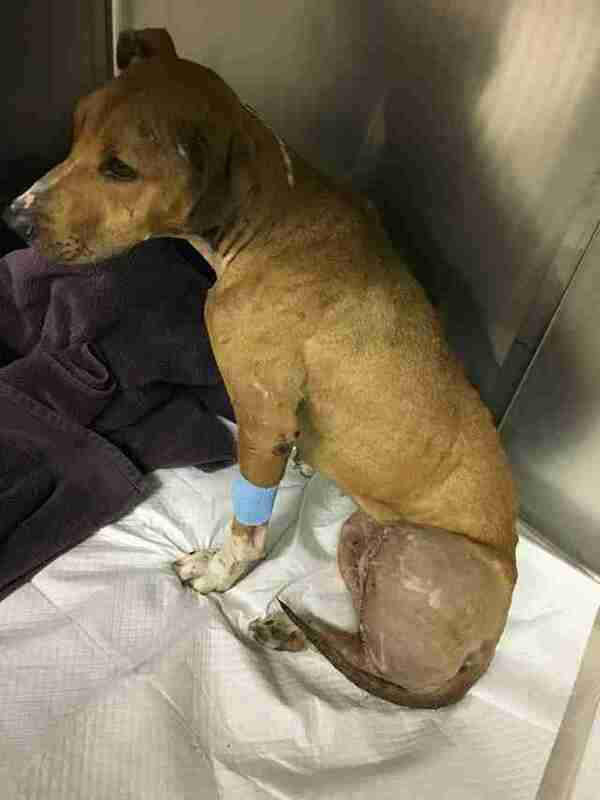 Amanda Holley first saw a photo of Miley on Facebook — the animal control officer who found her had posted it online with a plea for help, because the local shelter couldn’t afford to amputate her back leg. Holley picked up Miley the same day — and the dog was safe for the first time in her life. 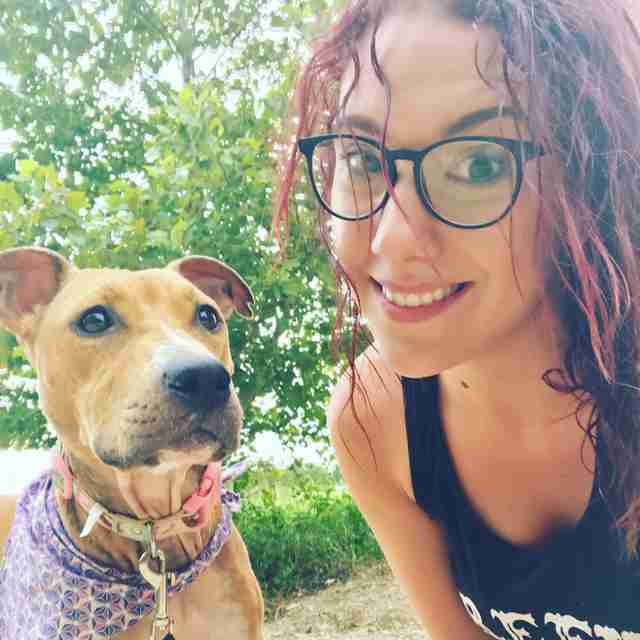 Thanks to generous donations from the community, the money for Miley’s surgery was raised in just under two days. 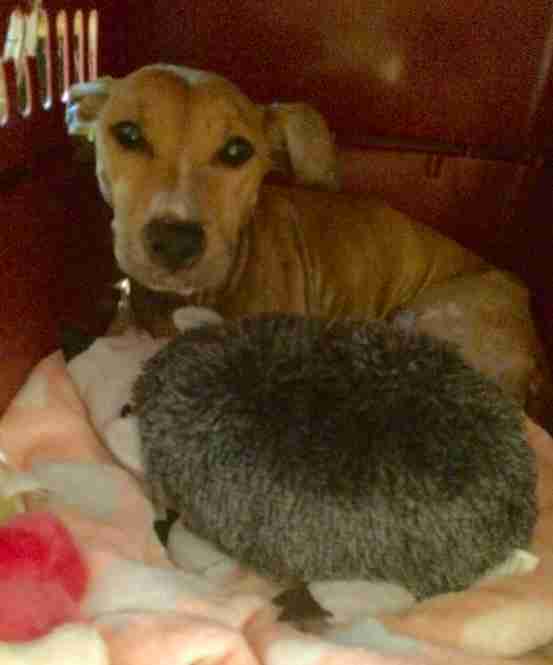 Although Miley was going to live with a foster after her surgery, Holley made sure to keep in touch. 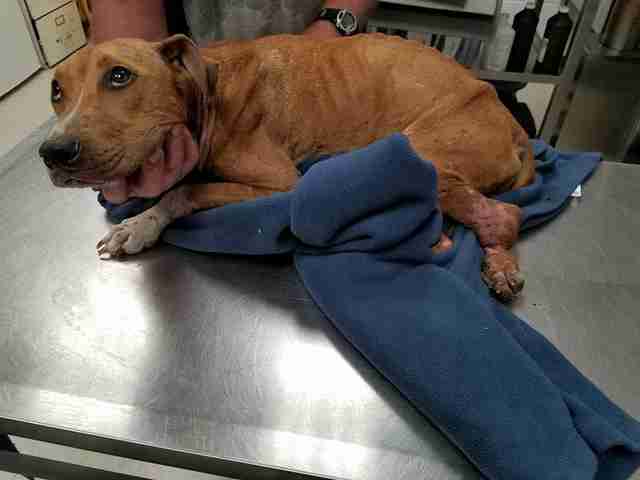 That time came just a few months later when Miley’s foster suddenly needed to move. She called Holley, who at that point had moved from Austin to Baltimore, Maryland. 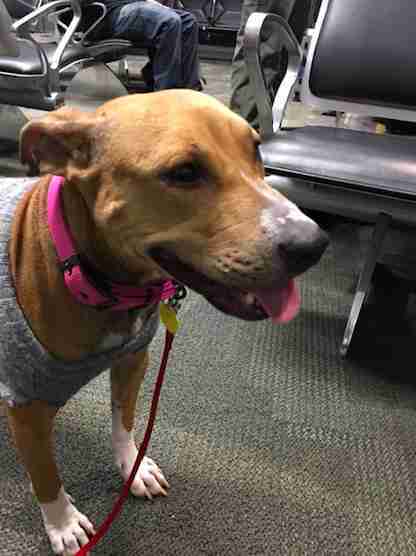 Holley arranged to have Miley transported to Baltimore — and she was home just in time for Christmas. With her new leash on life, Miley is excited about nearly everything. Although she’s still figuring out how to play with toys, she loves the company of other dogs and people. 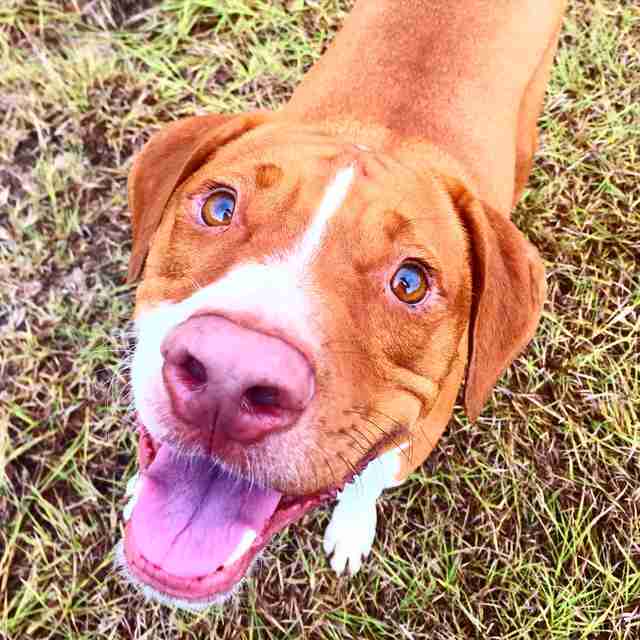 Miley’s brother, Ace, is also a rescue dog; he was found on the streets as a puppy and lived in a shelter for over three years until Holley adopted him. Ace is very timid of other dogs due to his life at the shelter — so he’s still getting used to his new sister. But now that he has a confident, comfortable dog like Miley in his life, Holley is certain it won’t be long before Ace comes out of his shell. Despite growing up in a place where humans and other dogs only hurt her, it’s clear all Miley needed was to meet someone who cared about her.